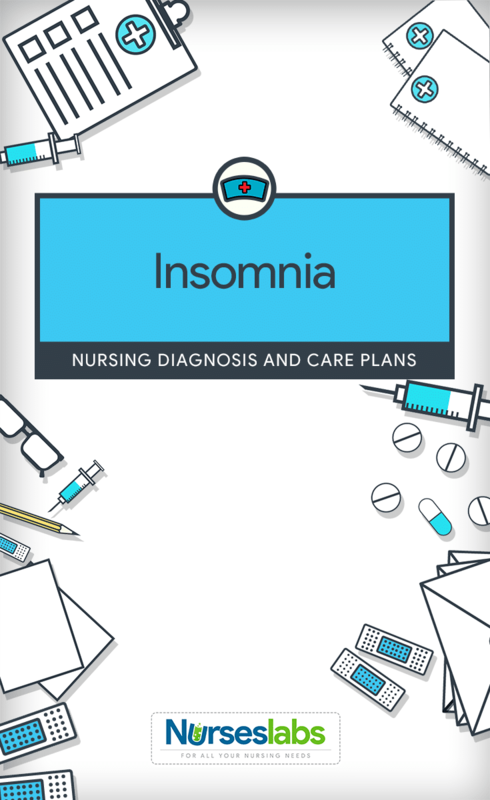 What are the nursing interventions for Insomnia? The NANDA nursing diagnosis Insomnia is defined as a disruption in amount and quality of sleep that impairs functioning. Sleep and well-being work hand in hand, and getting good sleep is actually vital to the overall health of an individual as eating healthy and exercising regularly. Think of your body as a factory. Sleep is required to regain energy for physical and mental activities. If an individual can’t sleep, he or she may have insomnia. Insomnia is a complicated condition and may be temporary or chronic. Short term insomnia may occur in response to variations in work schedules, overnight stressors, or travel beyond different time zones. Long-term insomnia is linked to substance abuse such as drugs and alcohol, and other factors like chronic pain, chronic depression, obesity, and aging. Sleep patterns can be affected by environment, especially in the hospital setting where noise, lighting, frequent monitoring, and treatments are always present. The harm caused by not getting enough sleep can be immediate, so nursing care is crucial. Nurses should be aware of insomnia and how they can help patients to get a good sleep. The focus should be toward educating patients with insomnia its proper management and ways on how to avoid such condition. Patient obtains optimal amounts of sleep as evidenced by rested appearance, verbalization of feeling rested, and improvement in sleep pattern. 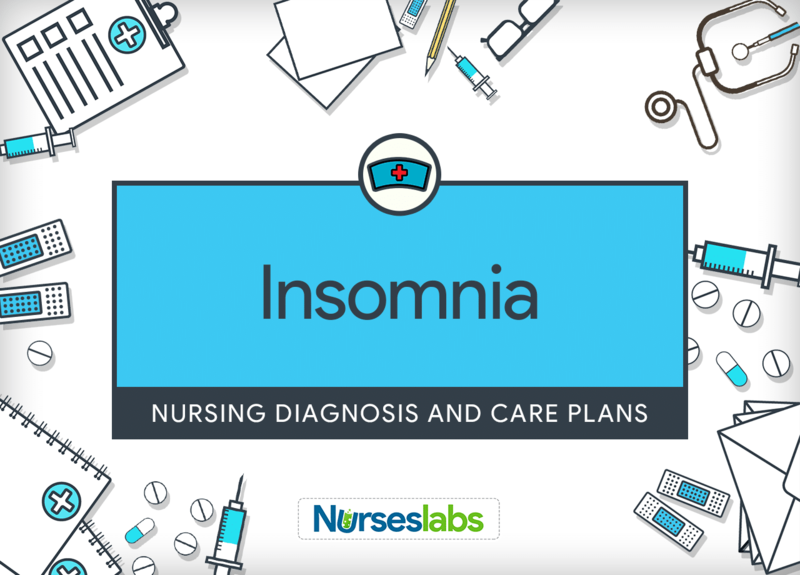 This assessment may further assist in identifying changes that may lead to a diagnosis of insomnia or troubled sleep patterns that require action by nursing staff. Insomnia must be addressed in the best way possible to stop it from becoming a chronic problem. Determine patterns of sleep in the past in a normal environment: amount, bedtime routines, depth, length, positions, aids, and other interfering factors. Each individual has different patterns of sleep. Information about this topic provides baseline data for evaluating means to improve the patient’s sleep. Take note observations of sleep-wake behaviors. Take down notes on the number of hours the patient is asleep. This provides baseline data for the evaluation of insomnia. Note physical or psychological circumstances that hinder sleep. The patient’s perception of the insomnia may differ from objective evaluation. Evaluate the patient’s knowledge on the cause of sleep problems and potential relief measures to facilitate treatment. The patient may have insights about the existing problems (e.g., anxiety or fear about a certain situation in life). This data will determine appropriate therapy. Observe and evaluate the timing or effects of medications that can affect sleep. Following medication schedules that requires a lot of attention may affect the sleeping pattern of the patient especially in the hospital setting. Educate the patient on the proper food and fluid intake such as avoiding heavy meals, alcohol, caffeine, or smoking before bedtime. Having full meals just before bedtime may produce gastrointestinal upset and hinder sleep onset. Coffee, tea, chocolate, and colas which contain caffeine stimulate the nervous system. This may interfere with the patient’s ability to relax and fall asleep. Alcohol produces drowsiness and may facilitate the onset of sleep but interferes with REM sleep. Encourage daytime physical activities but instruct the patient to avoid strenuous activities before bedtime. In insomnia, stress may be reduced by therapeutic activities and may promote sleep. However, strenuous activities may lead to fatigue and may cause insomnia. Encourage patient to take milk. L-tryptophan is a component of milk which promotes sleep. Instruct the patient to follow a consistent daily schedule for rest and sleep. Consistent schedules facilitate regulation of the circadian rhythm and decrease the energy needed for adaptation to changes. Remind the patient to avoid taking a large amount of fluids before bedtime. This will refrain the patient from going to the bathroom in between sleep. Inhibit the patient from daytime naps unless needed. Napping can disrupt normal sleep pattern; however, older patients do better with frequent naps during the day to counter their shorter nighttime sleep schedules. Introduce relaxing activities such as warm bath, calm music, reading a book, and relaxation exercises before bedtime. These activities provide relaxation and distraction to prepare mind and body for sleep. Tell patient to write a journal regarding problems before retiring. Journaling allows the patient to “set aside” problems or any mental activities just before going to sleep. Educate patient about the use of over-the-counter, herbal, and prescription sleep aids: These may be beneficial when patient experiences short-term sleep problems. Its main job in the body is to regulate night and day cycles or sleep-wake cycles. Older adults seem to tolerate melatonin with minimal side effects. Many over-the-counter drugs contain antihistamines that can cause drowsiness, which might help the patient fall asleep for a few nights. These drugs produce anticholinergic side effects that may harm older adults. These act through general central nervous system depression and disrupt the normal stages of non-rapid eye movement (NREM) and REM sleep. Long-term use may cause daytime drowsiness, rebound insomnia, and increased dreaming when discontinued. Tea made from mixing chamomile and Valerian root together makes an excellent bedtime ritual that facilitates stress relief and relaxation. Chamomile acts to facilitate general relaxation rather than as an actual sleep aid, while Valerian causes drowsiness. Using Valerian together with kava may increase side effects such as dizziness, drowsiness, confusion, and difficulty concentrating. Extra carefulness is necessary because some herbal products are not regulated by the FDA. Suggest an environment conducive to rest or sleep. A lot of people sleep better in cool, dark, quiet environment. Prevent the patient from thinking about next day’s activities or any distracting thoughts at bedtime. Providing a designated time for these concerns allows the patient to “let go” of these problems at bedtime. Suggest patient to get out of bed temporarily and perform a relaxing activity if unable to sleep 30-45 minutes in bed. The bed is not supposed to be used for watching TV, work, or wakefulness. The brain should associate the bed with sleeping. Eliminate any activities that are not important. This measure facilitates minimal interruption in sleep or rest. Place patient in a room away from any distraction or noise such as the nursing station. The nursing station is often the center of noise and activity. Provide a “Do not disturb” sign on the patient’s room. It is necessary to alert people in this kind of situation to avoid disruption of sleep. Render bedtime nursing care such as back rub and other relaxation techniques. These kinds of activities facilitate relaxation and promote the onset of sleep. Attempt to allow for sleep cycles at least 90 minutes. Research shows that 60 to 90 minutes are necessary to complete one sleep cycle and that completion of an entire sleep cycle is beneficial. Educate patient about their sleep requirements. Most people need at least six hours sleep for normal memory and brain function. Help patient understand the main cause of sleeping difficulties. Misconceptions and myths about sleep exist. Wrong notions about sleep disturbances may cause fear and anxiety. Additional references for this insomnia nursing diagnosis.